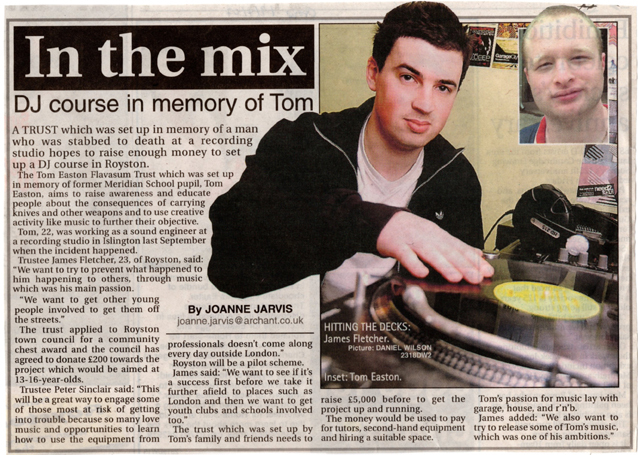 Flavasum piloted DJ sessions in the small market town of Royston, where Tom went to school. Like all market towns, there was and still is very little provision for young people, particularly after school and during early evening hours. The project ran a series of workshops at a local venue during the autumn of 2008. Additional funding was provided by a local charitable trust and Royston Town Council, and the sessions were run by professional tutors from Sound Base Studios in Hitchen, which also supported the initiative.